Home > Special Articles > How Does Job Creation Lead to Demand For Houses in India? How Does Job Creation Lead to Demand For Houses in India? - by Mr. Kishor Pate, CMD - Amit Enterprises Housing Ltd. Among the key variables that generate interest from property investors in any given location or city is job creation. An area in which several businesses are generating career opportunities for people becomes a magnet for demand from homebuyers. 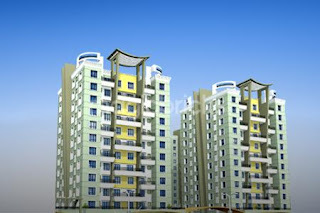 Such areas also become the focal point of interest for residential property builders. Employees of these firms will always hope to find homes close to where they work. Home prices in such areas can be very attractive if it is still developing - as long as it provides good access to a office hub, it will attract a lot of demand. 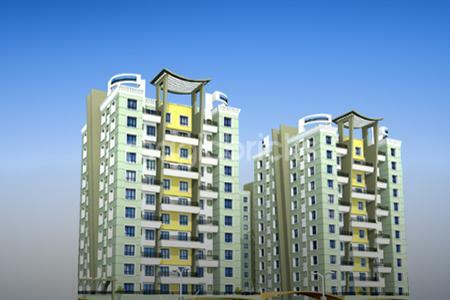 Investors interested in buying up residential properties..! Apart from end-users, investors will also be interested in buying up residential properties and putting them out on rent. In any case, since a substantial number of families may decide to purchase their houses there, developers will line up to buy available land parcels and build residential projects. Residential property builders put in a lot of research before launching a project in any new area. One of the main factors they will focus on is what kind of demand is likely to exist. For instance, an area near an industrial area or BPO will definitely see a lot of demand from budget home seekers, while a location around a software development firm is likely to generate demand for mid-income and semi-luxury homes. If a new office hub is generating highly-paid jobs, it becomes a suitable target for luxury home projects as well. However, many developers tend to miscalculate an area's potential to sustain demand for luxury offerings. Also, the Information Technology-driven job market a lot more fickle than that of, say, the manufacturing industry. Industrial jobs in India are largely driven by local demand for manufactured goods, so careers in a manufacturing company can be quite steady even if the salaries are not spectacular. Infotech jobs, on the other hand, are not as predictable as they may have initially seemed. The demand for such services in India is primarily driven by companies in the United States, where policies regarding outsourcing to other countries can have a big impact. We are currently witnessing such policy fluctuations happening in the US, causing a lot of uncertainty to software companies here in India. Not all job categories in the IT / ITeS sector are affected equally, but developers of residential properties looking at cashing in on IT-driven housing demand must nevertheless be attuned to which level of housing demand is sustainable, and which is subject to sudden change. Investors must also be able to gauge where Infotech-driven residential demand is headed. For instance, the previous IT capital of Bangalore is now rapidly yielding its market share to cities like Pune, which are attracting more and more IT companies with their burgeoning workforces and cost-effective property rates. Apart from its signature luxury projects like Montecito in Sahakar Nagar and other premium gated townships, AEHL has also launched highly successful affordable housing projects like Astonia Classic and Colori in Undri and the Mediterranean-style township Astonia Royale in Ambegaon.